For a full road test and review of this car, please see the article “Body and Soul”on pg. 78 of the December edition of Octane Magazine! 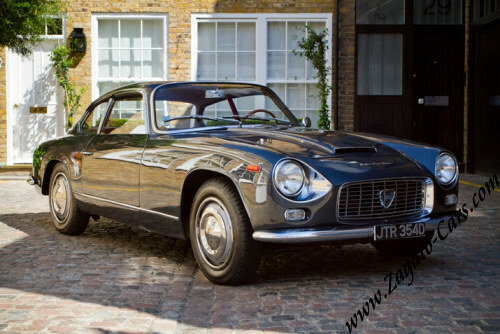 The Lancia Flaminia Zagato Sport brought together two of the oldest and most respected names in the Italian motor industry. The resulting combination, particularly in the Super Sport variant that we now offer for sale. This model was the final development of the Lancia and is a fitting tribute to both companies. 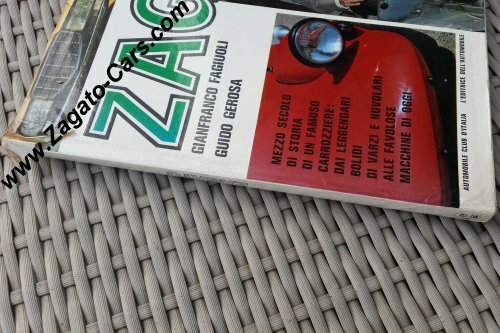 Zagato became famous from the 1920s for building elegant, lightweight sporting bodies, most often seen on six and eight cylinder supercharged Alfa Romeos and again, after the war, on competition versions of Alfa Romeo, Maserati and occasionally Ferrari chassis. 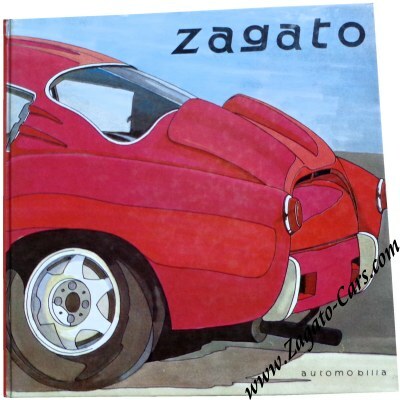 Zagato bodied cars have become keenly sought after by collectors both sides of the Atlantic. The Lancia car company is one of the oldest and most respected names in the car industry since its formation in190. Throughout Lancia's long and successful history until the late 1960’s, innovation, lightness, outstanding engineering and manufacturing quality were the cornerstone of the company’s goal to produce the finest cars possible. 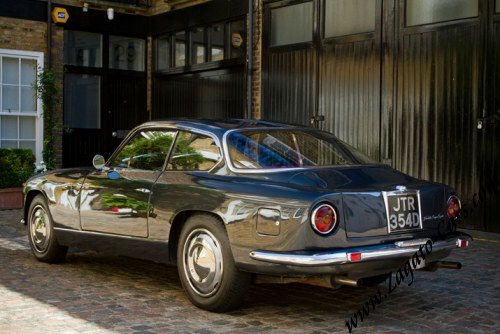 During this long period Lancia ranked well ahead of all other Italian manufacturers for these qualities, despite being overshadowed by the competition successes of Alfa Romeo, Maserati and Ferrari. Excellence in road car design and manufacture was Lancia's objective and it showed in the mid '50’s with its revolutionary D24 sports racers and D50 Grand Prix cars proving that when it chose, it could compete on equal terms with pure racing cars, rivalling even the mighty Mercedes-Benz in 1955 and winning the world Grand Prix championship in 1956. The Flaminia model was introduced in 1959 but has until recently lived in the shadow of the Aurelia and been relatively under appreciated. 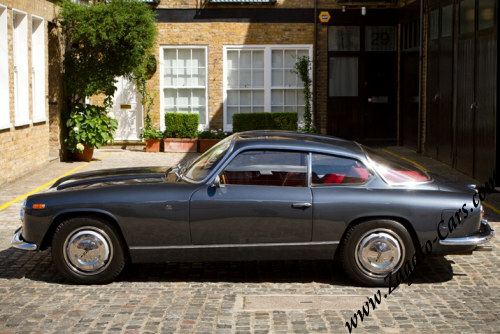 The Flaminia is essentially a development of the Aurelia for the 1960s and was in almost every respect an improvement. The V6 engine was re-designed to provide greater smoothness, reliability, power and torque and to accept triple twin choke carburettors; more head studs, a greater bearing area, an efficient oil cooling system and improved combustion efficiency were all significant improvements. The transaxle was improved and strengthened and now incorporated synchromesh on first as well as the upper three ratios. Four wheel, servo assisted twin circuit disc brakes were incomparably better than the Aurelia's drum brakes and were far superior to the brakes on almost any other road car of the period. They still provide excellent braking even by today's standards. 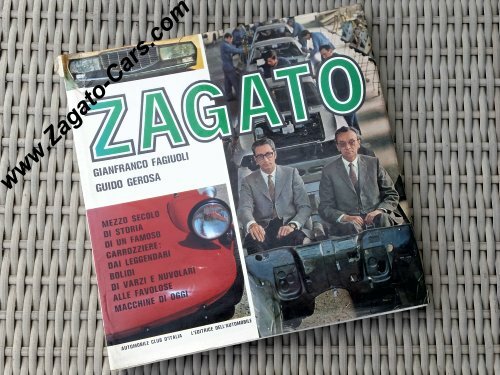 By the early '60s rival manufacturers were making more powerful and lighter cars than the Flaminius but despite this, Flaminius Zagat’s notched up some notable successes, winning the 2500 GT class in the Targa Florio in 1961, 1962 and 1963 and also winning their class in the 1961 Mille Miglia. 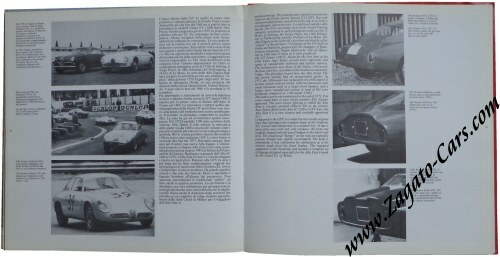 Lancia took extraordinary care in the manufacturing of the Flaminia – transaxles were run up by electric motors for half an hour to check their complete silence in operation, all engines were dyno tested and each car was road tested for two/three hours before being passed as fit for delivery to the customer. The Zagato Sport body work, first introduced in 1959, was mounted on a shortened version of the Flaminia chassis with typical Zagato weight saving and aerodynamic features, the cars weighing only around 1300 kgs, despite their very strong mechanical construction. 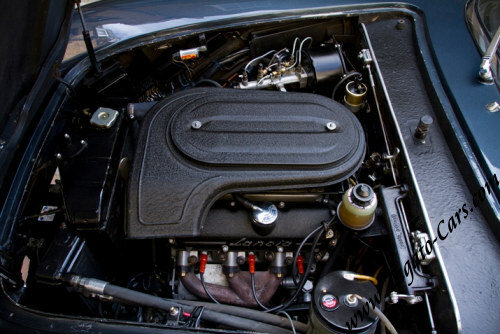 By 1962 the 3c variant with triple, twin choke Weber carburettors was introduced leading to the final Super Sport version, as offered here, with 2.8-litre engine, larger 40 DCN Webers, 152 bhp and much improved torque, as well as a re-styling of the body by Ercole Spada (well known as the designer of the Aston Martin DB4 GT Zagato) and a truncated Kamm tail. The Super Sport was capable of over 210 kph, with its close ratio gearbox giving speeds of 70, 90 and 160 kph in the gears. Lancia were so confident of the engine's reliability that there was no red line on the rev counter which reads to over 6,500 rpm! 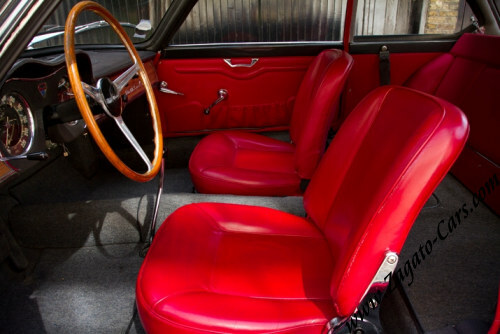 Our car, beautifully presented in Dark Grey Metallic with Red Hide interior, comes from the previous ownership of a well-known European Lancia collector. No effort or cost has been spared to bring it to peak mechanical condition over the last eighteen months. Work has recently been carried out for over £25,000 by well-known restoration specialist Jim Stokes Workshops Limited & Lancia specialist Omicron Engineering Limited. Works included a complete overhaul of the brakes, front suspension, carburettors, dynamo, starter motor and electrics with original new parts fitted as necessary. Five new original size and pattern Pirelli Cinturato tyres and a new fuel pump and battery have also been fitted. 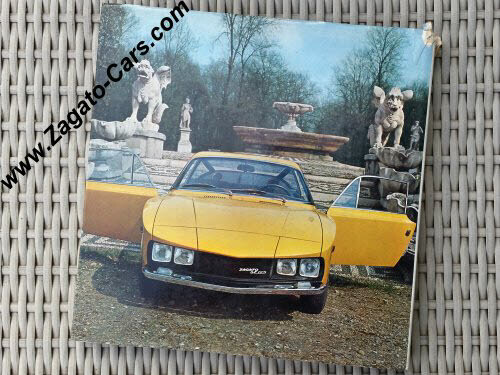 This is a unique opportunity to acquire such a rare and outstandingly well sorted Super Sport Flaminia Zagato model of which only 150 examples were ever built.